I've been blogging through the alphabet for a while now. 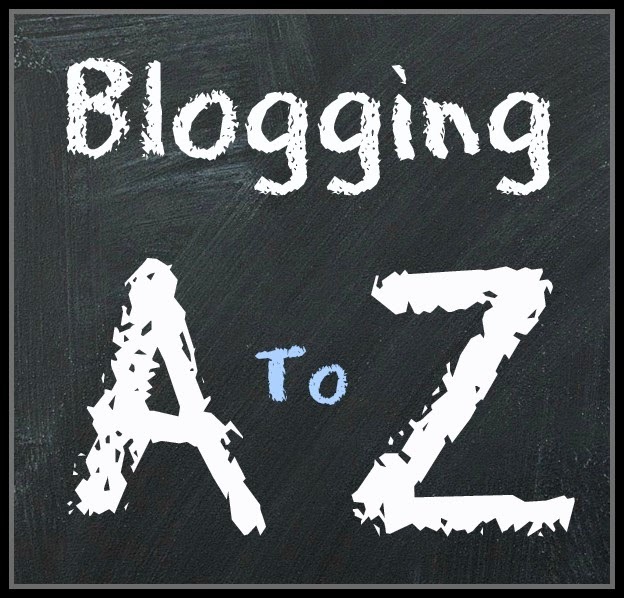 You can read the rest of my A to Z homeschool posts here. Thank you for stopping by. Obedience has become a battle ground in our home. IntelliGent is under the mistaken impression that he is in charge and has the final say in every decision. I'm not sure when this idea became lodged in his mind, but the fallout has not been pleasant. Until recant weeks, IntelliGent has been a fairly easy two-year-old. Sure, we've had our share of tyrannical moments, but over all he has been sweet and obedient. I'm beginning to wonder if he didn't lull me into a false sense of security. IntelliGent has started to use the word "no" with alarming frequency. After realizing a straight "no" did not produce the desired result, he modified to "no, thank you" thus reducing my words to a request that could be ignored. While I appreciate his attempts to be polite, I still expect him to obey and tell him such. Eventually he acquiesces. Last week, I was preparing lunch while IntelliGent played with his train track. While spreading peanut butter across a slice of bread, I was interrupted with an engine being thrust into my hand. The following conversation ensued. "You have very nice engines." I handed the train back to him. 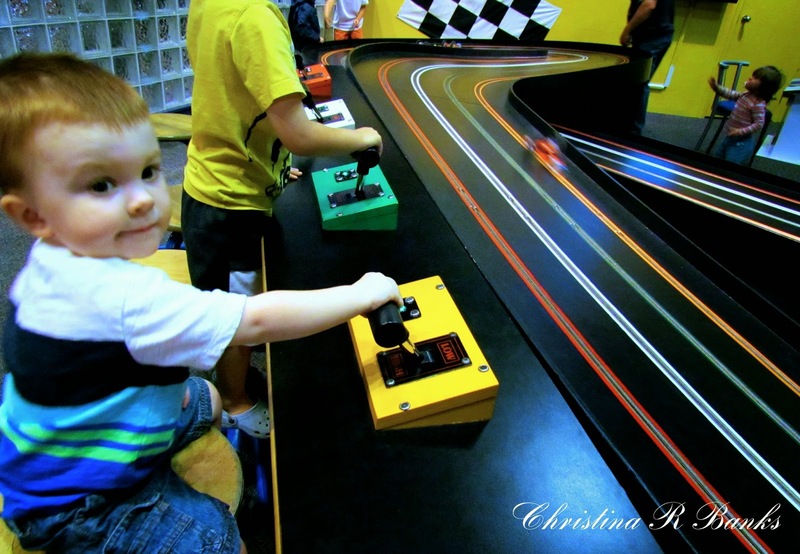 "Chase my engine around the track, Mommy." The engine is shoved toward me again, narrowly missing the glob of peanut butter on the knife. "Right now I'm making lunch. 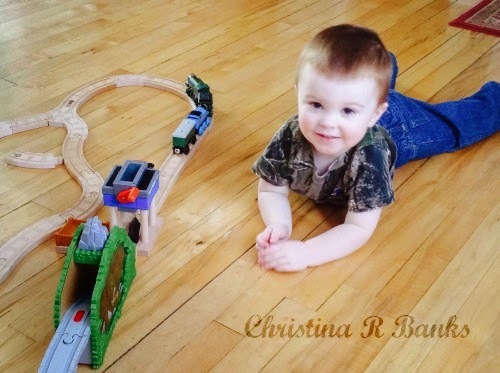 Maybe we can play trains together after we eat." "You want to play engines now." "No, thank you." I hand the engine back to him. "I appreciate you are trying to be sweet, but you need to obey. Say 'yes, IntelliGent' then we will play engines." He's still confused on how this obedience thing works, but at least I know he's listening. Now to convince him that he is not in charge. We've now made it half way through the alphabet. You can read the rest of my A to Z posts here. With IntelliGent's third birthday looming on the horizon, we are transitioning into a new phase. 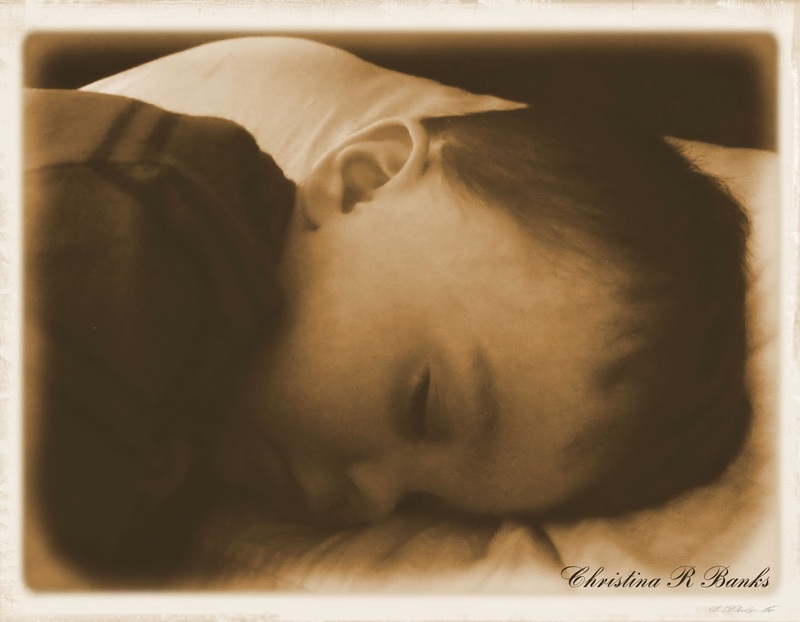 Last week, he made it very clear he no longer needed his nap time. Little does he understand, I still need him to take a nap. Those two hours of silence daily was my chance to be me - and not Mommy - for a few moments. With this change, we are reevaluating our schedule and routine. I still insist he take a rest period every day. Some days, despite his insistence that he's not tired, IntelliGent takes a nap. But most days, he just sits in bed and reads quietly for a while. He's discovered the joys of afternoon playtime after being released from bed after rest time. As with IntelliGent's education, this transition has come sooner than I would have liked. And like his education, we are learning how to do this one day at a time. I'm half way through blogging the alphabet. You can read more A to Z homeschool posts here. Thank you for stopping by. Before IntelliGent was born, we lovingly called him our little monkey. Dr. Dad would use the term of endearment as he spoke to him in the womb. Once IntelliGent was born, the name stuck. He wore monkey outfits and played with monkey toys. Any time we saw something with a monkey on it, I was tempted to purchase it. This love for all things monkey was fitting since Dr. Dad has enjoyed monkeys since he was a child. 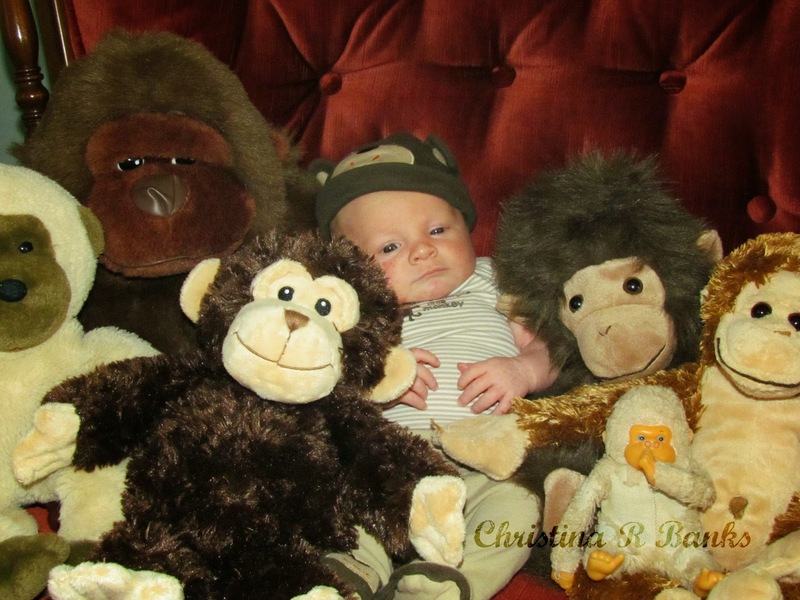 There is one monkey that has taken precedence over all the others. This monkey has become IntelliGent's best friend and is never far away. 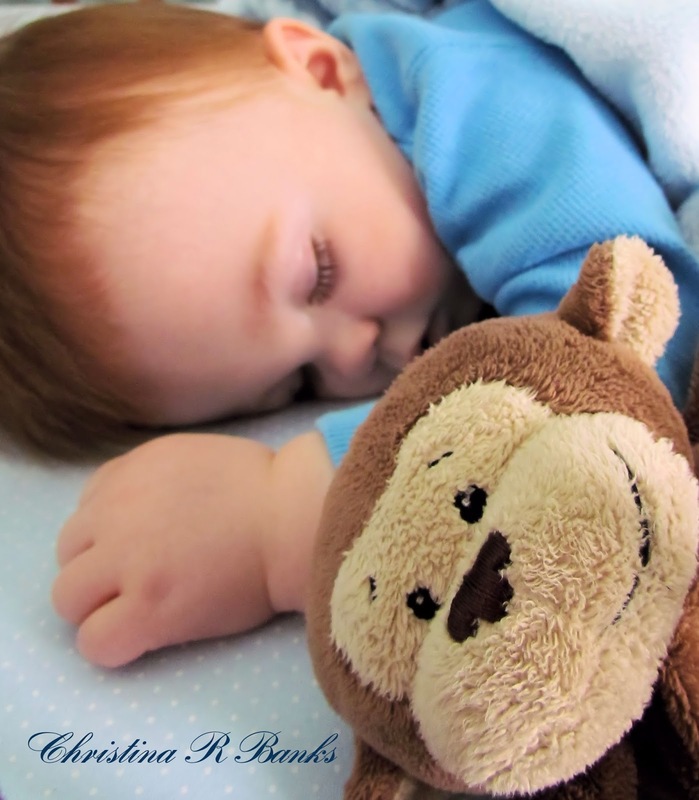 Whenever IntelliGent is upset or sad, this little blanket monkey helps provide comfort and security. There are days, I almost think IntelliGent loves that monkey more than Dr. Dad or me. I've been blogging through the alphabet here on A Yearning 4 Learning. You can read more of my homeschool A to Z posts. Feel free to leave a comment. Earlier this week, Dr. Dad and I went for our six month hygiene appointment at the dentist. We purposefully staggered our appointments so IntelliGent could come with us for a few minutes. Six months ago, when IntelliGent first joined us at the dentist, he was fascinated with the waiting room. He talked about all the chairs and counted them. He mentioned repeatedly the circle lights in the ceiling. I had completely forgotten about those conversations until we entered the building together for my appointment. The first thing IntelliGent noticed when we entered the waiting room was bank of lights over the reception area. "Look, Mommy. 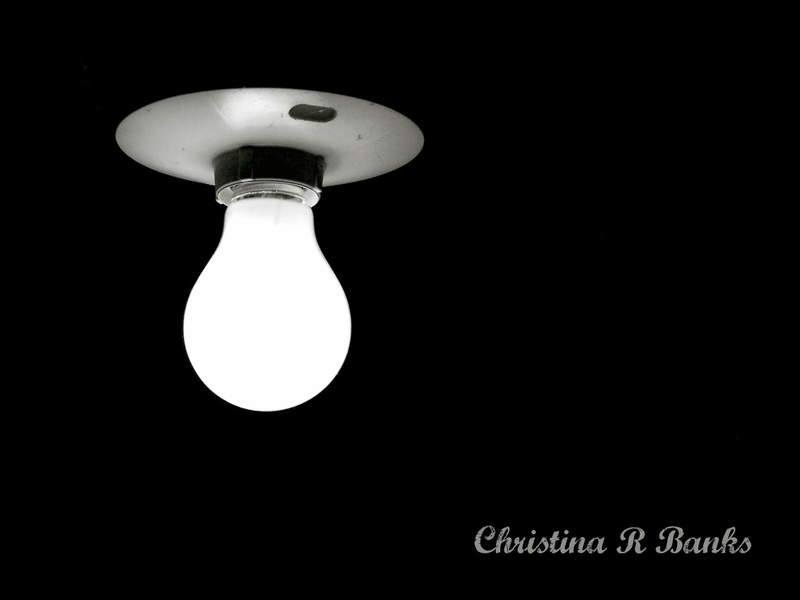 Someone changed the lightbulb." On our last visit, he had been so concerned about the burnt out lightbulb. Obviously, it left a bigger impression on him than I realized. All was right in the world now that the lightbulb had been replaced. Only a moment later, he pointed to the bank of lights over the man waiting in the room with us. "I sat in that chair." It took a minute for me to recall that trivial information, but IntelliGent was right. He had sat in that seat six months ago. Who remembers stuff like that? Further observances were cut short as the hygienist called me back to the room. As she worked on my teeth, I thought about the clear and detailed memories my son carried inside his head. It's a little frightening to think about. I'm going to have to be extremely careful what I say and do, because this boy will remember it FOREVER. 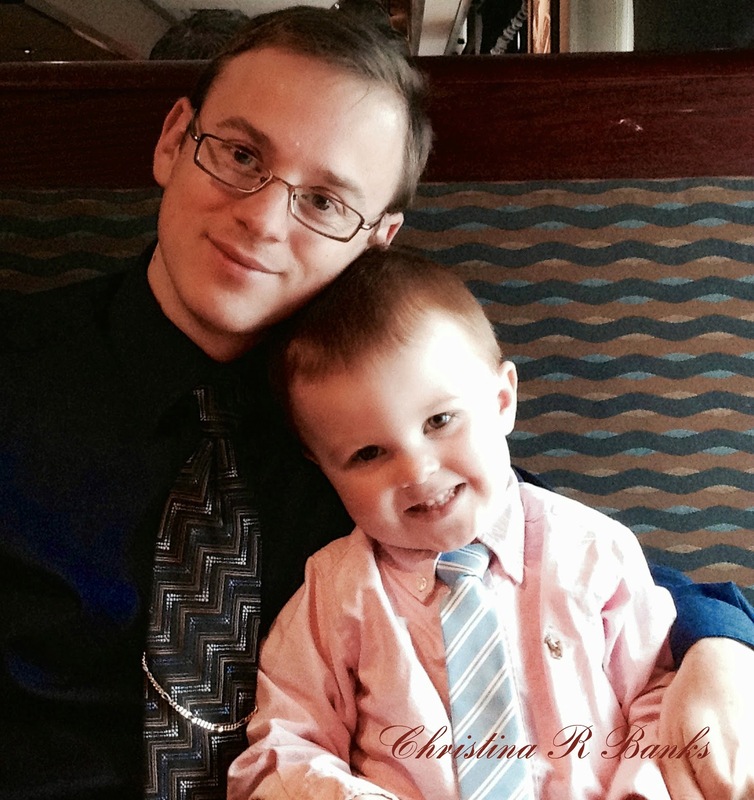 Thank you for visiting my homeschool blog. I've been blogging through the alphabet. You can read more of my homeschool A to Z posts here. Feel free to leave a comment. I'd love to hear what you have to say. One big challenge of having a small scholar is convince IntelliGent there is more to life than learning letters and numbers. He loves to learn, but I know he also needs time to just be a little boy. He needs to run and play. He needs to climb and throw balls. I try to encourage those activities by taking him to the park or letting him play in the back yard. We also do movement activities during our school time. While camping in Michigan, IntelliGent got to be a kid. He didn't insist on school (though he asked about it a few times). Instead he ran around, played ball, and watched his cousins. He was a happy carefree child. If I didn't know better, I would have thought he was a normal 2 year old. It did my heart good to see him so happy being a boy. I've noticed, since returning from our camping trip, IntelliGent is far more confident in his physical abilities. That confidence shows up in other areas as well - most noticeably in his potty training efforts. IntelliGent is a wonderful gift. I am learning to balance his need for learning with his need to play. I often have to remind myself though he's in kindergarten, he is only two. Thank you for joining me for another AtoZ homeschool post. I'd love to hear what you have to say. Please feel free to leave a comment. June and July has been months of adventure for our family. IntelliGent, Dr. Dad and I have travelled over 6,500 km and seen many members of our scattered family. IntelliGent has proved to be an excellent traveller and is already asking when we'll go on our next "long ride." The first of our adventures took us to the south of Virginia to spend a week with Dr. Dad's sister, her husband, and their new baby. It was interesting to see IntelliGent interact with his new cousin. He was a sweet boy, wanting to hold the baby right away, then was gentle with her throughout the week. I was anticipating some jealousy as I held the baby, but IntelliGent was more curious than anything. He loved sharing his toys with her, and spent some time examining her toys as well. He has already declared that the baby is his best friend. On our way home from Virginia, we stopped in Pennsylvania to visit Dr. Dad's brother and his family. Once again, IntelliGent enjoyed a chance to be with his cousins - this time a group of four older boys. It was a blessing to see the loving interaction between these cousins. The cousins - wowed by IntelliGent's script of questions - discovered an unfortunate truth: IntelliGent does not preform on demand. I discovered the fearlessness of IntelliGent as he handled his cousin's salamanders and frogs. It is nice to know he is a true boy. We were only home a day before driving into Ottawa for my Canadian citizenship ceremony. This was the culmination of a long process - starting with my wedding vows over six years ago. What a blessing to have our whole family be duel citizens between the USA and Canada. Yesterday, my Canadian passport came in the mail. Our whole family can travel with the same country's travel documents. Dr. Dad and IntelliGent took me out to a nice restaurant to celebrate the accomplishment. I celebrated by voting the following day in the provincial elections. Less than a week later, we were on the road again. Dr. Dad had a science conference in Sudbury, ON. IntelliGent and I spent four days enjoying Science North - a wonderful science center in Sudbury. We saw butterflies, beetles, cockroaches, turtles, flying squirrels, owls, beaver, porcupine, and snakes. While I love biology and could spend all my time studying the different animal exhibits, IntelliGent proved to be more like his father. He gravitated toward the different Physics interactive displays. His favorite was the gravity well - sending various size metal balls spinning around the circle and down the hole. He kept many of the "Blue Coats" entertained with his antics. IntelliGent had been looking forward to visiting Granma and Granpa in Michigan for weeks. He loved being outside with Granpa. Most of all, he enjoyed camping with his cousins from Washington. My parents enjoyed having all the grandchildren together, and the kids did so well playing with each other. 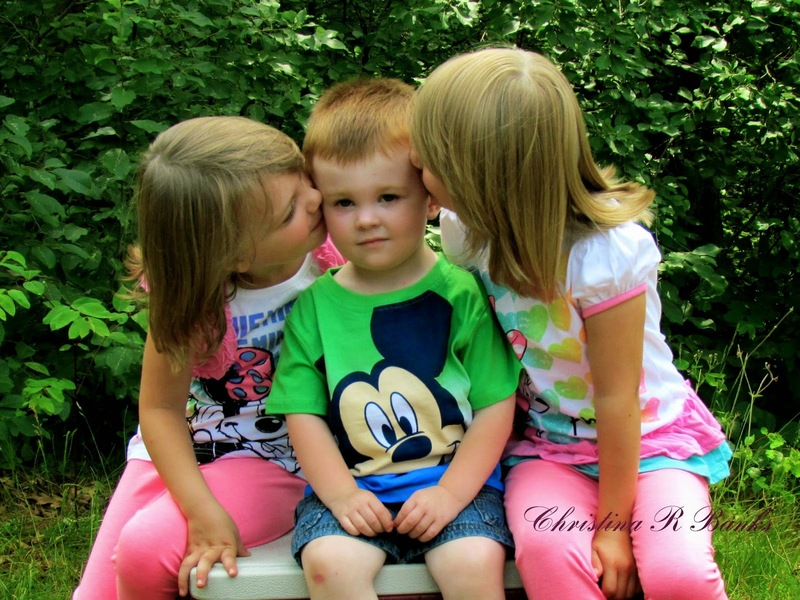 IntelliGent learned a few things from the girls - like how to say "I love you" with no prompting. While playing at camp, he was a feisty two-year-old. While I love the scholar, it does my heart good to see the little boy at play. Our summer journeying is now finished and it is time to get back into our schedule and routine. IntelliGent spent the morning begging to do school. Thank you for joining me as I blog through the alphabet. You can read more of my homeschool AtoZ posts. One worry I have about IntelliGent's rapid mental development is he will be so focused on academic learning that he misses cultivating his imagination. 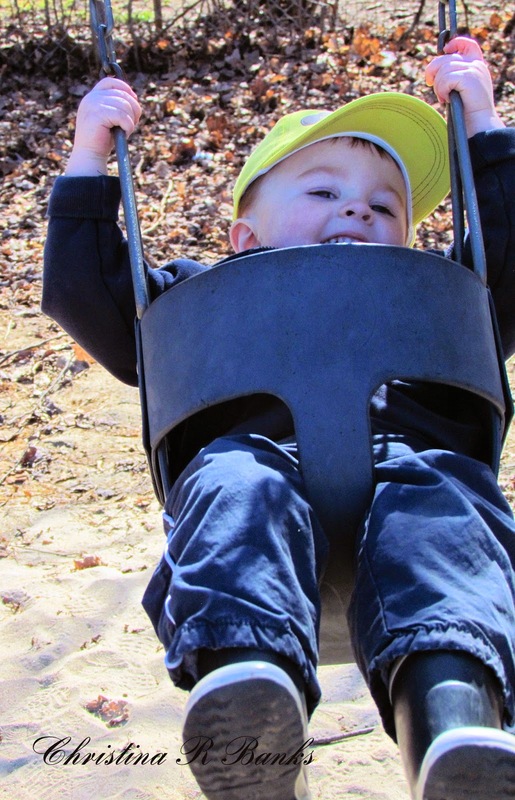 While other children seem to be content playing, IntelliGent focuses on letters and numbers. Does he play? Yes. But even his self-directed games have an educational bent. 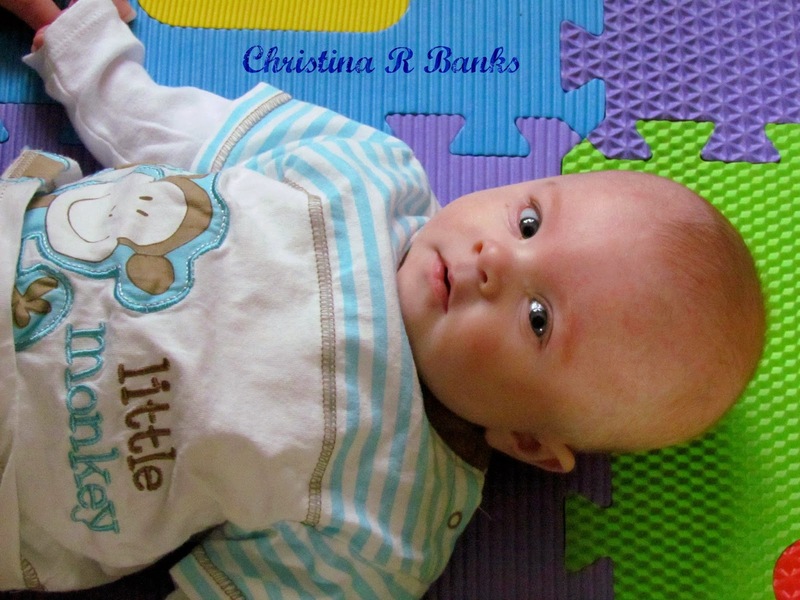 He loves to count things, discuss the beginning sounds of words, and has recently taken an interest in spelling. All these things are wonderful, but it does leave me a little concerned. Imagination is such an important part of life. I've encouraged IntelliGent to play imagination games. 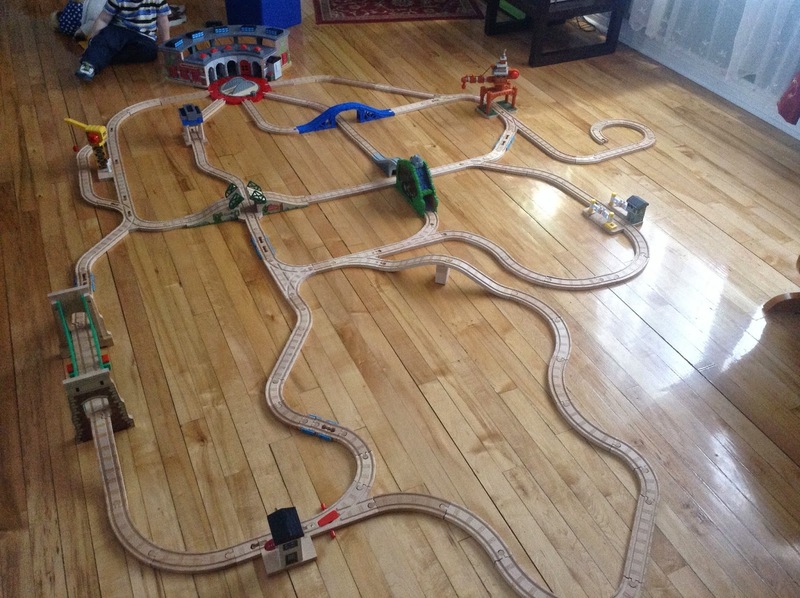 He loves his train set, and we make elaborate tracks for Thomas and his friends to go on. He'll reenact the adventures he's seen on the show, but doesn't make up his own story. He's only two-and-a-half, but I would love to see some original creativity come out of his playtime. Last week, I finally saw the first real glimpse of his imagination. He was eating his Pb&J when he looked at the piece in his hand. "Look! It's a boat." He spent the next few moments pushing his boat along the table. I don't usually allow him to play with his food, but I was too excited to see his imagination at work to stop him. That time.